Launched in 2017, CasinoMax is a relatively new online casino, owned by Legend Affiliates. The site is licensed by the Government of Curacao and offers more than 160 games, available in instant-play and in download mode. What makes CasinoMax an appealing option for online gambling is that it features amazing promotions and bonus offers. The site runs welcome bonuses, weekly and monthly specials, and even special bonuses for specific payment methods, too. CasinoMax utilises software provided by Realtime Gaming. Players can access the site directly via the browser, or they can download the casino desktop pplication. Further, what players can expect from the Realtime Gaming software is an incredibly easy-to-navigate site, which is fully-responsive and runs smoothly on all devices. As mentioned, CasinoMax offers more than 160 casino games, including various slot titles and a number of table game variations. Slot fans can find both classic games and new titles at CasinoMax casino. What is more, slots are conveniently divided into several categories, which makes finding the perfect slot as easy as a child’s game. Apart from slots, players can also enjoy several table games, including all-time classics like Blackjack, Three Card Poker and Baccarat. In addition, CasinoMax also offers video poker varieties, such as Jacks or Better, Deuces Wild, etc. CasinoMax accepts several deposit and withdrawal methods. Deposits are instant and can be made via Visa, MasterCard, and Bitcoin (Bitcoin deposits take up to 10 minutes to complete). It should be mentioned that the minimum deposit amount is fixed at $35, whereas the maximum deposit is set at $1,000. When players wish to withdraw funds from the casino, they can do it using either a cheque, bank wire, or an e-Wallet. If you wish to withdraw via cheque or bank wire, you need to withdraw at least $200, and you will have to wait between 3 and 5 days for the withdrawals to be approved and processed. Withdrawing funds via e-Wallets does not take as much time, and the minimum withdrawal amount is set at $35. In addition, regardless of what method you use, you can not withdraw more than $4,000 per week. New players can take advantage of CasinoMax’s Welcome Bonus, which becomes available once they make their first casino deposit. Of course, all bonuses and promotional offers available at CasinoMax are subjected to wagering requirements, which players need to meet before they can cash out. It is important to remember that wagering requirements may vary greatly depending on the bonus type, and that is why players should familiarise themselves with the T&C of bonuses before claiming them. CasinoMax does not impose a payout limit on any deposit bonus, but non-deposit offers, such as free chips and free spins, are subjected to a maximum payout limitation. If players need any help navigating themselves through the casino bonuses, they can contact the site’s customer support. CasinoMax boasts high security levels – the site works with the industry’s best 128-bit SSL data encryption technology. Thanks to this technology, all transactions are completed in a safe and secure environment. On top of that, the site performs malware scanning on a regular. 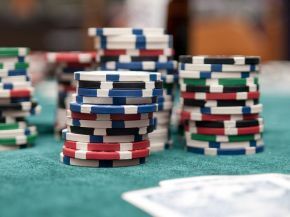 Furthermore, CasinoMax does not reveal players’ personal information to third parties. It should also be noted that CasinoMax works with Random Number Generators to ensure that all of its games are fair. The site claims also that its RNGs comply with the industry standards. In addition, CasinoMax cares for its players and offers them a helpful customer support staff to turn to whenever they have an issue to resolve. Customer support personnel can be reached via several methods, too. Players can either use the site’s live chat option, the casino e-mail, or the toll-free phone shown on the site.